Maybe I am just having a senior moment here, but something seems to be messed up. I have been using this site since 2006 and love it. Lately however I can only see a single version of a song. I find the song in the list and it may say (15 versions) then click the title. Rather than seeing a list of the 15 versions, I just see 1 seeming random version. I know the site has undergone a lot of changes, but I can't find any setting or button to click to find all of the versions. I appreciate any help on this. 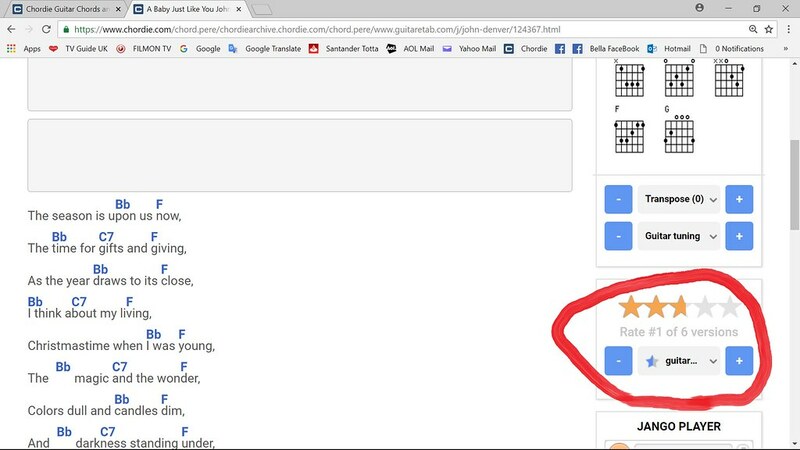 If you look down the right hand side of the song (photo below) you will see the number of versions and use the plus and minus to view the different versions. Please rate them. Holy crap - I never knew that - great question - great answer. Thanks for a great find ! Chordie is the best ! Also if you want to see the list of song versions click on (15 versions). This is new to me too.